Our growing company is full of career opportunities for both seasoned veterans and newcomers. Are you interested in joining team Kaslink? If you got excited about the prospect of working with us, don’t hesitate to showcase yourself and your skills with an open application. We hold on to all applications and will contact you as soon as there is a position matching your skills and interests available. Kaslink is one of the fastest growing companies in the 2000’s, and we currently have over 170 employees. There’s a lot going on in our company all the time. The main thing, of course, is the manufacturing and developing of food products for the food industry. We offer lots of career options in food manufacturing, sales, marketing, human resources, logistics, maintenance, automation and ICT. In addition to working in an exciting environment, we offer our people the chance to develop themselves. Whether it’s the case of boosting professionalism with additional education, a desire for job-rotation, or advancing to a senior level, we support our staff in achieving their goals. At Kaslink – because we are a family company first and foremost – we aim to maintain a warm family business spirit. We are proud of what we do, and we believe in our values: family entrepreneurship, believing in what we do, transparency, team spirit and constant development and innovation. Innovations and outstanding results are achieved, when we work together as a team in a laid-back environment. We also take part in the Great place to work program. What is a technical manager’s day like? 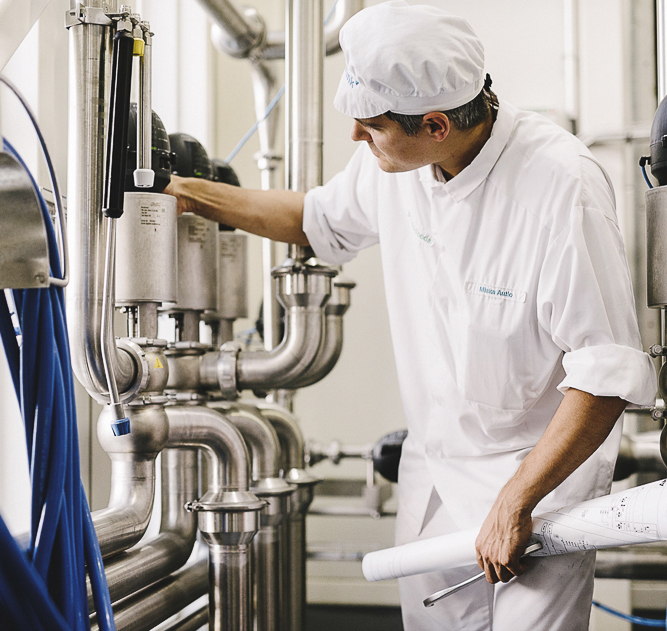 What does a process manager in the reception of milk do? Get to know some of our employees and read their stories!